The battle for Hodeida could push the Arab world's poorest country into further chaos. A Saudi-led coalition backing Yemen's exiled government began an assault Wednesday morning on Yemen's port city of Hodeida, a crucial battle in the 3-year-old conflict that aid agencies warned could push the Arab world's poorest country into further chaos. The Red Sea port has been held for years by Iranian-aligned Shiite rebels, known as Houthis. It is crucial to food supplies in a nation on the brink of famine after years of war. If the Houthis don't withdraw, the battle for Hodeida also may mark the first major street-to-street urban fighting for the Saudi-led coalition. Before dawn Wednesday, convoys of vehicles appeared to be heading toward the city. The sound of heavy, sustained gunfire clearly could be heard in the background. Saudi-owned satellite news channels and later state media announced the battle had begun, citing military sources. The Houthi-run Al Masirah satellite news channel later acknowledged the offensive, claiming rebel forces hit a Saudi coalition ship near Hodeida with two land-to-sea missiles. Houthi forces have fired such missiles at ships previously. "The targeted ship was carrying troops prepared for a landing on the coast of Hodeida," the channel said. The Saudi-led coalition did not immediately acknowledge the incident. 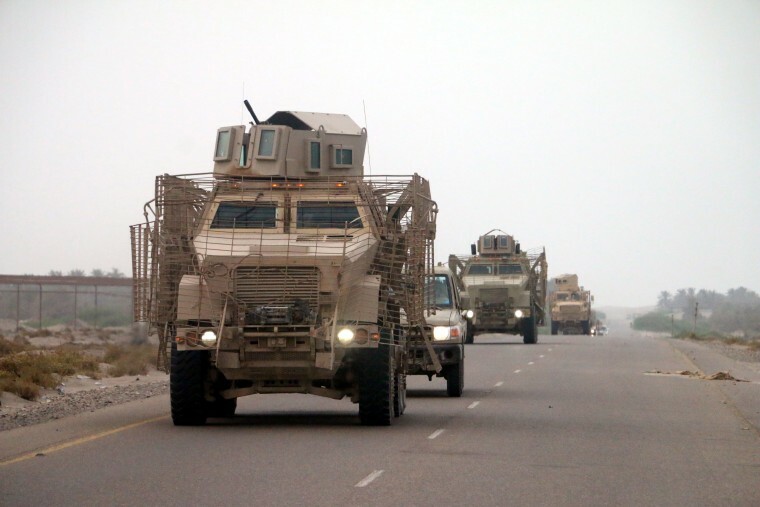 Forces loyal to Yemen's exiled government and irregular fighters led by Emirati troops had neared Hodeida in recent days. The port is some 90 miles southwest of Sanaa, Yemen's capital held by the Houthis since they swept into the city in September 2014. The Saudi-led coalition entered the war in March 2015 and has received logistical support from the U.S.
More than 10,000 people have been killed in Yemen's civil war, which has displaced 2 million more and helped spawn a cholera epidemic. The Saudi-led coalition has been criticized for its airstrikes killing civilians. Meanwhile, the U.N. and Western nations say Iran has supplied the Houthis with weapons from assault rifles up to the ballistic missiles they have fired deep into Saudi Arabia, including at the capital, Riyadh. The U.N. says some 600,000 people live in and around Hodeida, and "as many as 250,000 people may lose everything — even their lives" in the assault. Lise Grande, U.N. resident and humanitarian coordinator for Yemen, told Reuters that peacekeepers had delivered food and other vital aid supplies to the port even as naval shelling and air strikes took place. "We are distributing food, hygiene and nutritional supplies, shelter materials. We have a ship offloading food even as shelling and bombing is happening," Grande said. "The U.N. is already taking steps in case of a possible siege including airlift capability."